Now more than ever, choosing the right health coverage for you and your family can seem complicated. 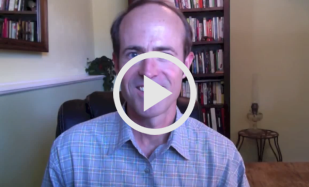 The Affordable Care Act (ACA) has changed the way we buy health insurance. 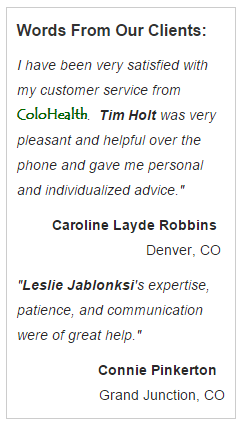 ColoHealth is certified by the Connect for Health Colorado insurance marketplace. When you authorize us as your agent on the exchange, you’ll have a licensed, independent ColoHealth Personal Benefits Manager to help you with every step of your enrollment, including premium tax credit applications. Unless you qualify for an exemption, you are required to carry health insurance that is approved under the Affordable Care Act (ACA) – or face a tax penalty. ACA-qualified plans must include 10 Essential Benefits and 100% coverage for a long list of preventive care services. ACA plans provide guaranteed acceptance of pre-existing conditions for coverage. No one can be denied coverage, regardless of health status or pre-existing conditions. However, if you decide to purchase a non-ACA policy (catastrophic or short-term coverage), you are not guaranteed coverage for pre-existing conditions. You also will not be 100 percent covered for preventive care and will not receive the 10 Essential Benefits provided by Obamacare plans. If your household income is below 400 percent of the federal poverty level, you can qualify for a premium tax credit (subsidy) to reduce the amount you pay for ACA-approved plans purchased on the Colorado health insurance exchange. Household incomes below 400 percent of the federal poverty level (FPL) qualify for assistance in paying for health care premiums. Additional tax credits called cost-sharing subsidies are also available for those households with income levels below 250 percent of the FPL. Advance premium tax credits can be submitted on the Connect for Health Colorado marketplace exchange at the time of health plan enrollment, or as a reimbursement at the end of the tax year with your tax return. Your Personal Benefits Manager can help you correctly estimate your income to avoid having to repay any excess subsidy you may receive as an advance premium tax credit. Catastrophic, short-term and other alternative coverage plans do not qualify for tax credit subsidies. Colorado’s Connect for Health Colorado marketplace is state-operated, so some deadlines and regulations may differ slightly from federally-facilitated exchanges. Visit the ColoHealth Health Care Reform page for complete information you need to know about the Affordable Care Act.